28 A None No Power Seat 28 A is a bulkhead seat which may have restricted legroom. The tray table is in the armrest, making the armrest immovable and slightly reducing the seat width. There is no floor storage during takeoff and landing. This is a bassinet position, so passengers with infants are often seated here. 28 B None No Power Seat 28 B is a bulkhead seat which may have restricted legroom. The tray table is in the armrest, making the armrest immovable and slightly reducing the seat width. There is no floor storage during takeoff and landing. This is a bassinet position, so passengers with infants are often seated here. 28 C None No Power Seat 28 C is a bulkhead seat which may have restricted legroom. The tray table is in the armrest, making the armrest immovable and slightly reducing the seat width. There is no floor storage during takeoff and landing. This is a bassinet position, so passengers with infants are often seated here. 28 D None No Power Seat 28 D is a bulkhead seat which may have restricted legroom. The tray table is in the armrest, making the armrest immovable and slightly reducing the seat width. There is no floor storage during takeoff and landing. This is a bassinet position, so passengers with infants are often seated here. 28 E None No Power Seat 28 E is a bulkhead seat which may have restricted legroom. The tray table is in the armrest, making the armrest immovable and slightly reducing the seat width. There is no floor storage during takeoff and landing. This is a bassinet position, so passengers with infants are often seated here. 28 F None No Power Seat 28 F is a bulkhead seat which may have restricted legroom. The tray table is in the armrest, making the armrest immovable and slightly reducing the seat width. There is no floor storage during takeoff and landing. This is a bassinet position, so passengers with infants are often seated here. 38 A None No Power Seat 38 A is an Economy Class seat which does not recline due to the exit row behind. 38 B None No Power Seat 38 B is an Economy Class seat which does not recline due to the exit row behind. 38 C None No Power Seat 38 C is an Economy Class seat which does not recline due to the exit row behind. 38 D None No Power Seat 38 D is an Economy Class seat which does not recline due to the exit row behind. 38 E None No Power Seat 38 E is an Economy Class seat which does not recline due to the exit row behind. 38 F None No Power Seat 38 F is an Economy Class seat which does not recline due to the exit row behind. 39 A None No Power Seat 39 A has extra legroom due to the exit row. 39 B None No Power Seat 39 B has extra legroom due to the exit row. 39 C None No Power Seat 39 C has extra legroom due to the exit row. 39 D None No Power Seat 39 D has extra legroom due to the exit row. 39 E None No Power Seat 39 E has extra legroom due to the exit row. 39 F None No Power Seat 39 F has extra legroom due to the exit row. 57 A None No Power Seat 57 A is in the last row of the aircraft and may not recline. Proximity to the lavatory and galley may be bothersome. 57 B None No Power Seat 57 B is in the last row of the aircraft and may not recline. Proximity to the lavatory and galley may be bothersome. 57 C None No Power Seat 57 C is in the last row of the aircraft and may not recline. Proximity to the lavatory and galley may be bothersome. 57 D None No Power Seat 57 D is in the last row of the aircraft and may not recline. Proximity to the lavatory and galley may be bothersome. 57 E None No Power Seat 57 E is in the last row of the aircraft and may not recline. Proximity to the lavatory and galley may be bothersome. 57 F None No Power Seat 57 F is in the last row of the aircraft and may not recline. Proximity to the lavatory and galley may be bothersome. 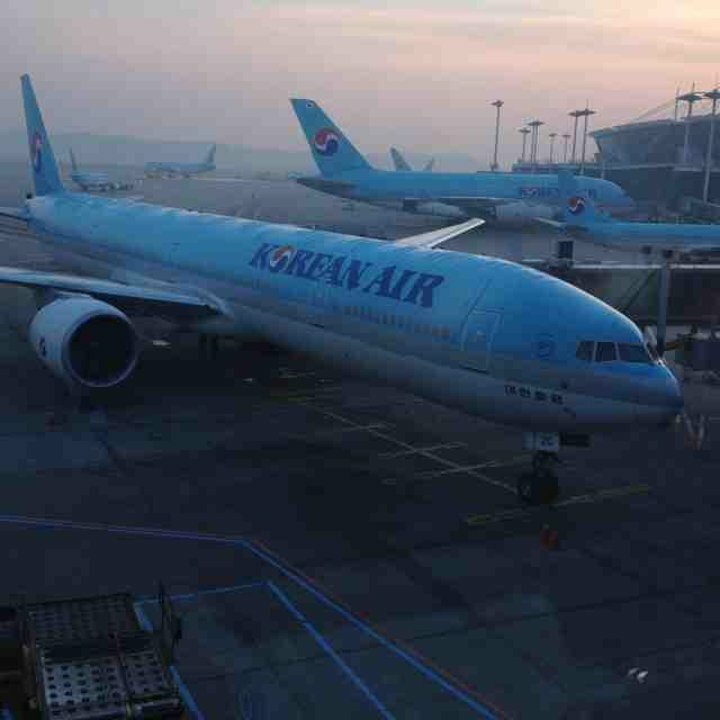 Korean Air's B737-900 aircraft has 188 seats and offers two classes of service: Prestige and Economy. 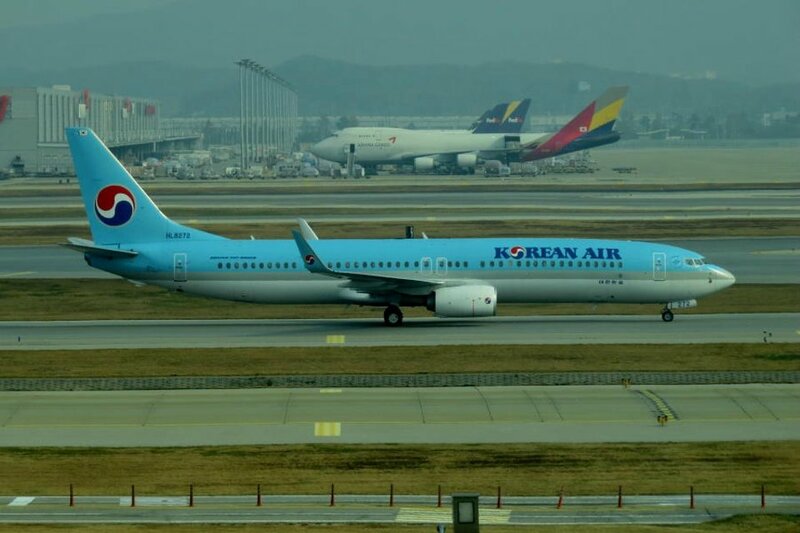 Korean Air flies 1 versions of Boeing 737-900.